"The school is taking effective action to address the areas for development identified during the last inspection." We have now received our final report following our Ofsted inspection in March. We are pleased to be able to tell you that the inspectors recognised the hard work put in by the school and yourselves and that in the 5 terms since conversion to an Academy progress has been made. There is still some distance to travel before we can be judged an outstanding school but the Ofsted report recognises that we are travelling in the right direction. The inspectors judged that the Governing Body is playing an increasingly focused role in the leadership of the school and that various aspects of the school were now 'good'. This is a very caring school where pupils are treated as individuals and adults have their best interests at heart. The school knows its strengths and areas for development and has the capacity to improve. Early Years' provision provides children with a very positive start to school. Pupils' spiritual, moral, social and cultural development is strong because of the strong links with the church and the opportunities pupils are given to develop skills in music and art. Pupil's behaviour is good and pupils have good attitudes to learning. They have confidence in staff to deal with any problems, they say they feel safe in school and learn how to keep themselves safe. Improve the quality of teaching and raise standards at the end of Key Stages 1 and 2, particularly in writing. Increase the involvement of middle managers and subject leaders in checking the quality of teaching and achievements of pupils in their areas of responsibility. Continue the drive to improve the attendance of the small number of pupils who do not attend school regularly. We hope that you will be as pleased with the outcome of the inspection as we are and we look forward to working with you on the next stage of this journey. 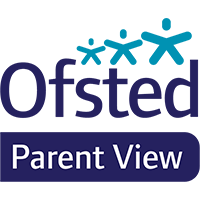 Click onto the picture below to go to Parent View - your views are very important to us and are used by the Inspection as part of the evidence base for making a judgement about the school. The school is underpinned with Christian values such as trust, hope and forgiveness and coupled with the school's close links with the church these ensure children and their families are nurtured and supported in a caring environment, where children can learn. School leaders know their community well and are committed to removing any barriers to learning,..
As a result, children's attitudes to learning are more positive and enthusiastic. Most children are now making expected progress and some make better than expected progress with standards close to national averages. The provision of spiritual spaces in the environment is encouraging the children's spiritual development.